at the 2005 age group and possibly a second team at the 2004 age or mixed ages. Practices will generally be on Sunday afternoons with a possible additional practice before a tournament. Player fee will be $225-$295 depending on final schedules and number of tournaments. 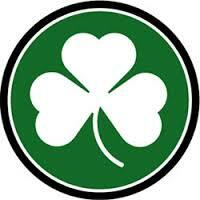 The Shamrocks understand (and support) players may be involved in spring sports and when possible are happy to work with a player who cannot attend all scheduled tournaments. Just contact the Head Coach to discuss logistics. Rosters will be set at about 13-15 skaters plus up to two goalies. Team will start around early April and have 5-6 team practices.